Are Ranbir Kapoor and Alia Bhatt dating? Alia Bhatt and Ranbir Kapoor are off late spending quality time with each other and are reportedly meeting secretly at each others houses. Alia Bhatt, who has expressed her fondness for Ranbir Kapoor before she made a debut on the silver screen, is all set to star opposite the heartthrob in a trilogy titled 'Brahmastra'. However, more than the movie, there is a strong buzz hinting at the growing proximity between the two stars. They are being seen in each other's company too frequently these days. As per a report in SpotboyE.com, Alia and Ranbir's meetings are taking place too often. In fact, when not shooting, Ranbir prefers to be around Alia. Only recently, there were rumours that the two were in Tel Aviv. But they were there along with filmmaker Ayan Mukerji, director of Brahmastra for recce. And now, latest reports are that they have started meeting secretly at each other places. It is also being believed that at this point, Ranbir doesn't want his growing friendship with Alia to come out in open and thus is making sure that it remains under wraps. Early this week, the 'Rockstar' actor dropped by Alia's house at around 11 pm and left only next morning at around 7 am. It is to be noted that Alia shares a close bond with Ranbir's former girlfriend Katrina Kaif. On a chat show, BFF with Vogue, Alia was seen advising Katrina, "Leave the gym and focus on men, to which she replied saying, "I am waiting for Alia to get married first." 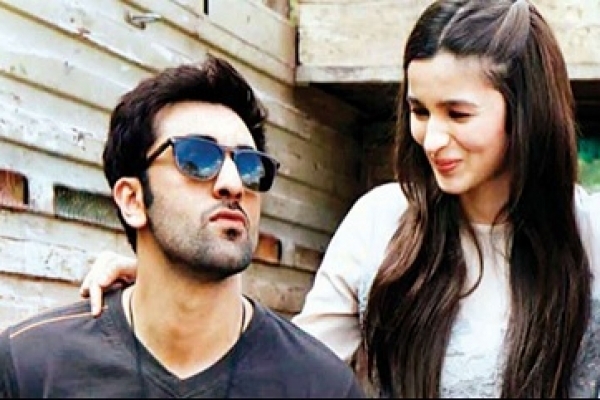 Well, it is to be seen if Alia's closeness with Ranbir will cause a friction between the two BFFs!